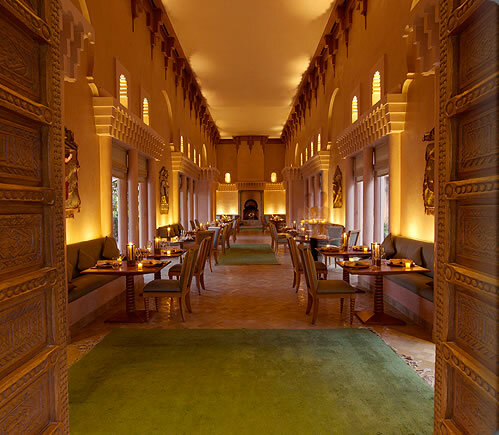 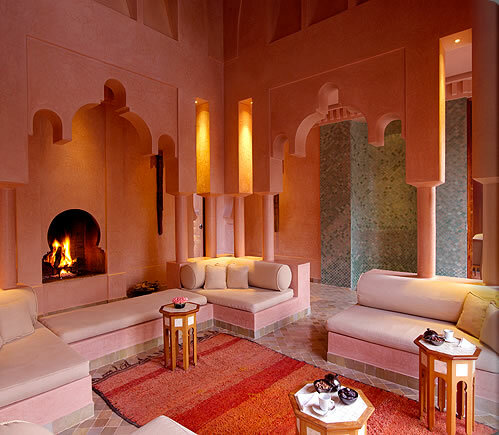 This has to be one of the most beautiful hotel interiors I have seen. 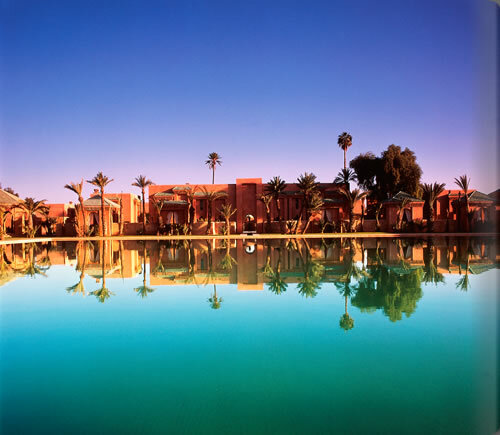 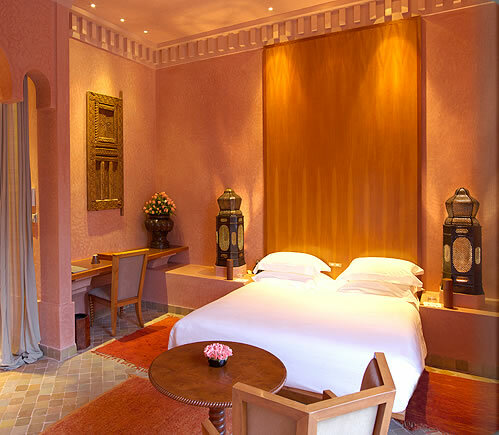 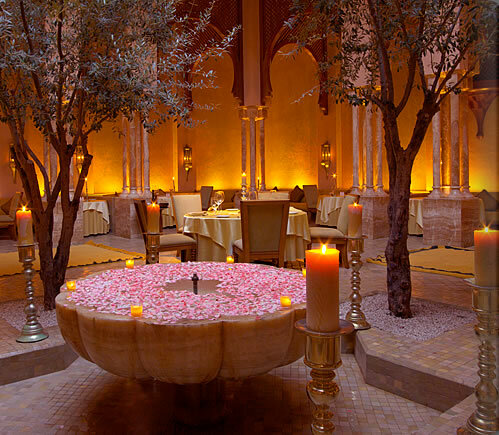 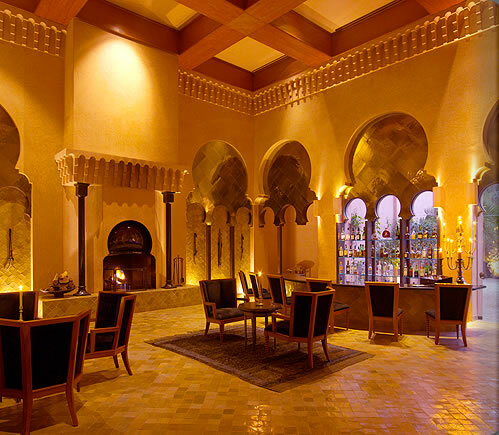 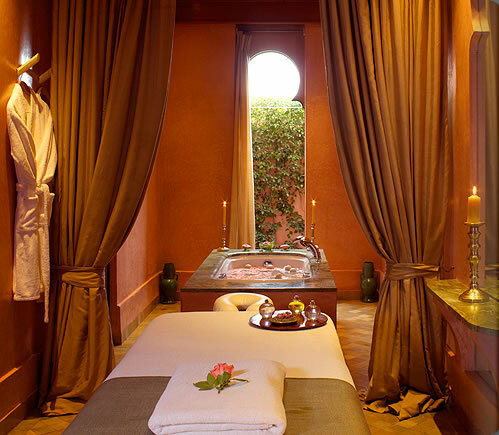 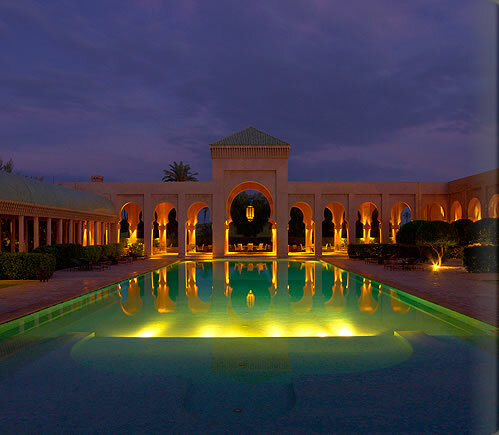 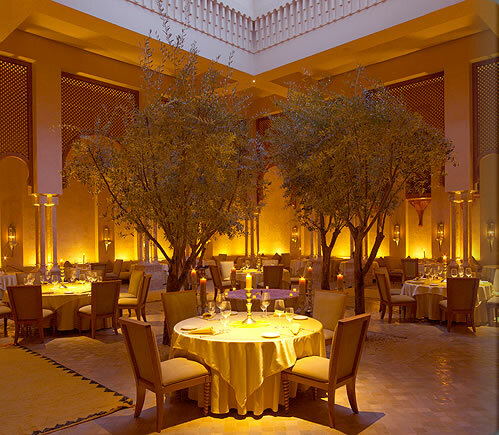 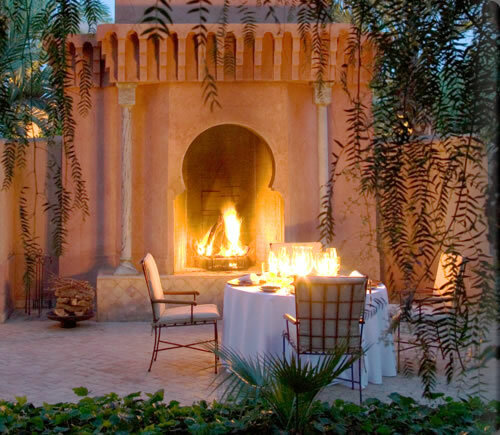 Set in Marrakech, Morocco, the Amanjena resort provides a unique but cultural experience. 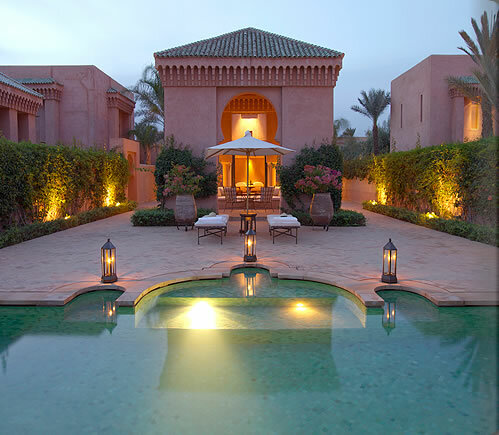 It is elegantly designed and gracefully tranquil.